This was probably my favourite book of 2017. It had an enchanting, dreamy, fairy-tale-like quality to it, and was brimming with mystery and romance. I fell in love with the characters and found myself furious at the injustices they faced and rejoicing at their triumphs. The world also felt very unique, and the story was beautifully written, which made it a real pleasure to listen to it as an audiobook. I’ve read Taylor’s Daughter of Smoke and Bone series, which I love, but Strange the Dreamer topped even that. I'll admit, not everything about this read was perfect for me – there were a couple of things I took issue with toward the end (to avoid spoilers I’ll simply say that there was a twist that conformed to a cliché that often frustrates me, so I found that a little disappointing, especially because the rest of the book felt so fresh and unique). However, on the whole it was such an entrancing, amazing story that it was still a 5-star read for me, and is now sitting happily on my all-time-favourites shelf. 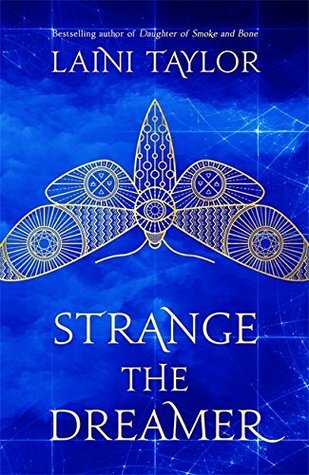 Sign into Goodreads to see if any of your friends have read Strange the Dreamer.